Screen capture from a prototype by Terry Stewart, using a simple predator-prey model, illustrating the utility of having sliders with ranges. 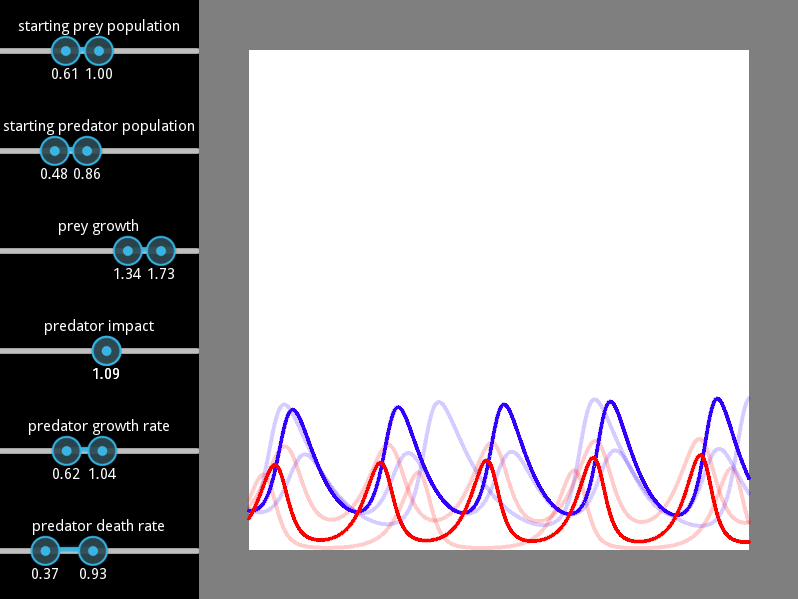 This prototype was an experiment in plotting widgets in kivy for use in visualizing simulation results. Model parameters can be adjusted by sliders, but these sliders allow a range of values, and the graph gives immediate feedback as the sliders are moved. Download the code for the prototype. This entry was posted in Prototypes and tagged predator-prey, range, sliders. Bookmark the permalink.